It's that time of the month again. Time to write a new article. For the last 1,5 years I've had a deadline every month to write a new article for a magazine. I've always felt that writing is something that doesn't come so easily when there is a deadline. For me there are moments where something wants to come through and times when nothing comes. But when You have a deadline there is no option, You have to "pull something out of the pencil". Well, I don't have to write today, but I am used to having to publish something in the end of each month and I guess it has become a habit. A good one, I would say. As I am sitting on a plane to London and wondering what is it that I should write about this time, I am having a feeling that change is something that I would like to explore deeper this time. 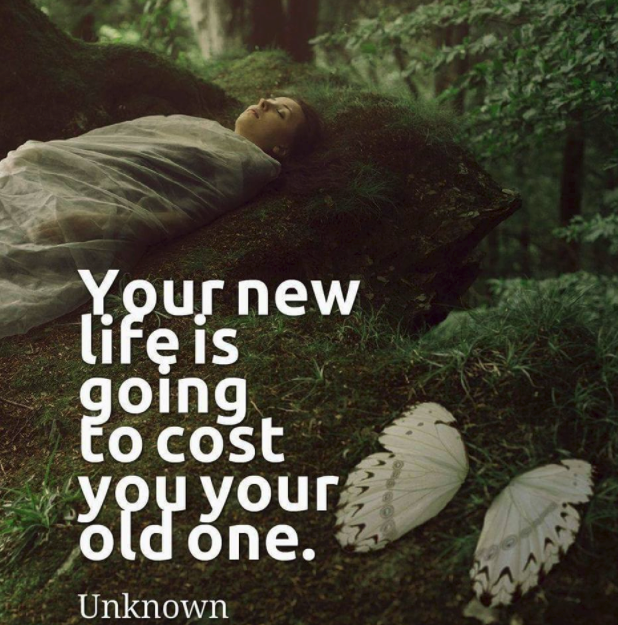 Last year as I embarked on a new chapter of my life and decided to let go of many things in my life, I started experiencing a lot of change in my life. I Life was constantly putting me into situations where I found myself enjoying moments, places and relationships only to know that very soon I would have to let go. It was pretty devastating in the beginning. I had to go through many periods of pain, vulnerability, great sadness and a lot of confusion. Which also brought along many moments of deep awakening and lot's of healing. Luckily I had friends that stood by me and helped me embrace all the changes, the chaos, the sadness and the pain. As I look back upon this year now, I feel it has been the greatest teacher in those 36 years I have walked upon this earth. As I was experiencing these changes, I started to wonder why it is so hard for us to accept change. Why do we cling on things, people and relationships when they no longer serve us in out life or we know they are not good for us, but we still try to grasp. It didn't take me long to start realizing that change for us equals death. And it is true, every change is a small death, a death of something. All of our lives we have known that death is something bad, it is filled, with sorrow, loss and pain. And often times these feelings stay with us for a long time and sometimes they never truly fade away, depending on how big the loss has been. So I started to wonder if there was another way of looking at things and looking ad death and change. Why is it that we are told that death is only and end to something? What we don't realize often, that whenever there is an ending, there is also a beginning. If someone or something dies, it always creates room for someone or something to enter our life. We can't see the bigger picture or understand each and every event in our life. So how do we know if what we experience is really a loss. I believe in life after death. So if I die, it might be the end of this life on the earth and the death of my physical body, but it is also a beginning of something for my Soul. Our Soul is the only thing that is eternal; everything else fades away after we die. The other thing that remains are the experiences we had in this life. So after a year of going through these changes, something changed inside of me for good. I started realizing just how big of a gift each change in our life is. Each time life took something or someone away for me, it gave me something else much better to experience and each time I looked back and expressed gratitude inside for the new experience. But each time I was still holding on to the old one, new things did not come. As soon as I had fully let go, there was space for something new to emerge. The only way not to realize the gift change brings us is if we get stuck into the fear. The fear inside us makes us want to control things. Because we think that if we control things, then life is safe for us. We have an idea of how our life should be like and we try to do the best to have it match that image in our head. But where does that image come from? How do I truly know what is best for me and what is the life I should live? I believe we have a small voice inside of us that actually does know the life that was meant for us, but often time this voice is silenced by the programming of the collective consciousness. That starts early on from our childhood. We first are programmed by our parents beliefs, then our teachers, our classmates, our friends our spouses and the media. That voice inside is very very quiet and the only way to hear it, is to be still and in silence. But we rarely ever get that. We are constantly surrounded by people and with the age of the social media it has gone even worse. It is easier than ever to interrupt the moments of silence even when we sometimes have them. There is so much information flowing in everyday, that it is almost impossible for an average person to hear that voice inside, unless things for some reason get really off and the voice inside starts screaming. and that happens too, very often by the way. That is called sickness or disease. That is the place where the voice gets loud. And when we still ignore it, it gets so loud, there is no option than to take some time, sit down and wonder what is happening to me. We get sick, when we swim against the current. When we are not really truly in harmony with why we came here. What we came to do here. Each and everyone has a gift that they are carrying inside of them. We have to let go of the social conditioning. We need to start taking times, moments of silence, so that before we take a new step in our life, we know that it is the right one. Learning to embrace change and trusting life, means we learn to trust ourselves. That the life we chose to live this time, is safe for us. Even at moments of hardship it is still part of the bigger picture and 5 years from now, looking back at something that seems hard now, will feel like the best thing that could ever happen. Working as a therapist I see so many people having that fear inside and wanting to control everything in their life. What that fear really does, is stops them experiencing life and all the gifts that it carries. People are afraid to come to Tantra, because what if their marriage for some reason ends then. But what if that marriage gets even better? Or what if that marriage does end and both of You will find Yourself in an even more fulfilling relationship? We don't have to grab everything that comes in life. Sometimes very good things come to us, but after a while we need to let them go, because something even better awaits. Yes, change is death and death is something we shouldn't be afraid of. We can't escape it anyway, it is a natural part of life. Change is the only constant thing in life.